Are SMBs Ready to Outsource? When enterprises the world over are touting technology-led transformation as the new game changer, how long can Indian SMBs shy away from it? High-end technology capabilities have for a long time eluded SMBs, or probably SMBs have deliberately stayed away due to various reasons. But the emergence of alternative avenues in the form of technology outsourcing models and the cloud is playing a major role in bridging the gap. Technologies that remained unreachable till a few years back are very much a reality now. And there is a visible change in mindsets as SMBs look out for smarter ways of doing business to maintain their hold in a tough market scenario. 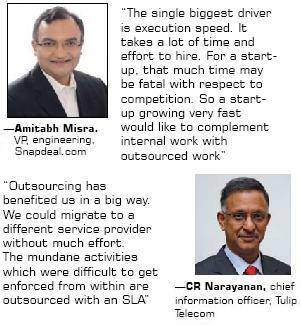 All indicators seem to be pointing towards one direction – SMBs are all geared up to take the ‘outsourcing plunge’. According to a Zinnov report on SMBs, there is a growing affinity towards technology adoption in SMBs. IT spendings are going up significantly in India, and a huge chunk of this is coming from the SMB space. SMB IT spendings is surging at a rate of 15% per year and is estimated to reach $15 bn by 2015. This indicates the enormous opportunity for technology outsourcing in the SMB landscape. Ultimately SMBs have to compete and survive in the same playing field as the large enterprises. 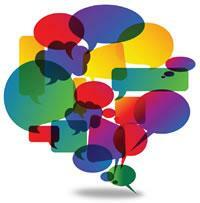 Viral Thakker, partner KPMG, says, “There is no compromise to the quality of products offered by SMBs. They have to bring out products that give the look and feel as that of big brands.” Being competitive is high on the agenda and this is driving the search for new technology avenues. Moreover with new technology trends bombarding the enterprise landscape, businesses need to be ‘IT prepared’. Globalization, explosion of mobile devices, advanced collaboration and networking requirements, and the ever-increasing computing needs make it essential for enterprises to strengthen their technology capabilities. On most instances, SMBs, especially start-ups, are not in a position to do this on their own and need some hand-holding from a third party service provider. 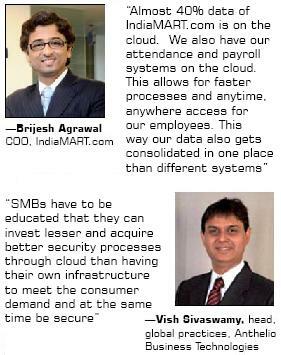 Till some time back IT infrastructure for SMBs was more about sustenance and support, but it has grown beyond that. Enterprises look to align their IT infrastructure with the strategic goals of their business. At the same time they want to ensure that they do not lose track of the more strategic issues. Other than the numerous benefits that cloud entails, the increasing maturity of cloud based offerings and the service provider landscape is another big driver for cloud adoption across SMBs. IT vendors are aware of the big opportunity that lies unexplored in this part of the market, and to capitalize on that they are coming up with customized solutions for the SMBs. They know that what works well for a large enterprise might not work here. Xerox believes that it’s really about making sure you have offerings that are scalable to smaller organizations. The IT service provider has recently launched a set of business cloud services specifically tailored to the SMB. “These are the type of services – IaaS for mid range and Intel systems, disaster recovery, and mobile management – that would historically only have been available to global corporations,” says Wessel. TCS iON is another SMB focused offering. It offers enterprises the flexibility to choose from integrated suite of hardware, network, and software solutions on a pay-as-you-go model. There is also a visible increase in cloud channel partners in India. According to AMI’s recent India Channel Partner study, with cloud services showing increased demand among SMBs, the number of channel partners offering cloud solutions in their product/services portfolio has gone up by around 35% in the last one year. What type of cloud offerings are being preferred the most? Arup Roy, principal research analyst, Gartner says, “The preference is more for infrastructure cloud offerings as compared to application development.” The AMI study reveals that remotely managed IT services (RMITS) is the most common cloud service offered, as it requires less investment for partners, followed by software-as-a-service (SaaS). Other cloud services include infrastructure-as-a-service (IaaS) and cloud consulting services. Affinity to the cloud and other outsourcing models is certainly going up. Barriers in the form of closed mindsets and security fears are gradually being broken. Security fears around the cloud still remains, but instances were companies have realized better security through cloud cannot be denied. According to a recent study by Microsoft, 64% of Indian companies have experienced noticeably higher levels of security since moving to the cloud. Things have changed a lot in the last one year but it is still very tough to change the mindset of Indian SMBs. Security concerns are paramount and that is again related to lack of awareness. Bhadada says, “Lack of awareness is still a big hindrance and there are not enough case studies to substantiate cloud benefits.” Similar is the case with other outsourcing models. The SMB outsourcing scene in India is in a nascent stage where most enterprises do not know what services are available for them in the market and whom to partner with, so that they get the best outcomes. Understanding about the basics is very essential to get the most out of outsourcing deals. “It may take some initial efforts, but in the long run the benefits are likely to outweigh the costs,” sums up Thakker. Outsourcing outcomes can be very different for different organizations. It depends a lot on how effective the overall outsourcing strategy is and how strictly is it adhered to. On most aspects, outsourcing is similar for both large and small enterprises, but there are certain elements that differ. What might work for a large enterprise might not work for an SMB. The way an SMB approaches an outsourcing relationship determines the outcome to a large extent. Globally, outsourcing outcomes for SMBs have also turned out to be better than large enterprises in some instances. According to the State of Outsourcing 2011 Study by Horses for Sources, mid-market buyers have been enjoying considerable success in every area – from cost reduction to global effectiveness to getting business process improvement and technology. >> Diligence: Kishan Bhat, engagement manager, Zinnov Management Consulting says, “SMBs need to offer great deal of diligence before they strike an outsourcing deal. It is advisable that they take legal advice.” He pointed out that at times SMBs enter into contracts based on personal connections. Also there are instances when the contract terms are very basic, and that creates a lot of scope for errors. >> Decide the Right Partner: Selecting the right outsourcing partner is crucial. The size does matter a lot in case of mid market. A very large service provider might not be able to offer the required level of attention most of the times. Instead, a mid market service provider might be able to understand better the unique requirements and challenges of the segment. Some service providers offer specialized packages for mid market players and at favorable price points. An awareness of what all is available in the marketplace is essential. >> Deal Size – Big Or Small: Most experts that we interacted with pointed out that deal sizes are better kept short and small. Roy says, “From a best practice perspective mid market buyers should go for shorter term contracts.” It is advisable to start with a few chunks of tasks outsourced for shorter tenures rather than offloading the entire work at one go. This way you can also evaluate the outcomes better, and pull out easily if things are not working out. Interestingly, there is another contrasting view to this. The HFS study states that better outcomes for mid-market buyers is possibly because of the fact that they outsource a greater proportion of their staff and processes to make the economics work. This leads to faster transition and improvements.